Asking ourselves deep, thought provoking questions on mind habits can help us discover ways to work with them towards positive life changes we want to make. Mind habits are repetitive patterns of thought that either help or hinder us from achieving our aims. Changing habits can be a highly rewarding challenge. 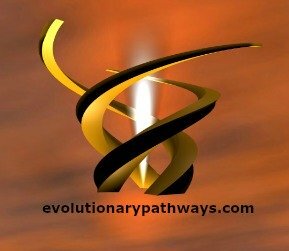 One of the amazing things about progressing on our evolutionary path is encountering the realization that...by changing the inner workings of our mind, we can change the outer reality of our life. Suddenly we understand how truly workable and flexible life change can be. Working with the mind requires distance from the mind. We can't work with something that is too close - we just can't see it. Putting some distance between us and the object, it comes into focus. Stepping out-of-the-mind gives us freedom to work with the mind. Are mind habits a good or bad thing to have? Can you choose not to have any mind habits? How powerful are mind habits? Do they have the power to actually influence the course of your life and destiny? Are you familiar with your own personal mind habits? Do you know what mind habits are holding you back and which ones are pulling you forward? What difference would it make to your life if you decided to systematically work on cultivating positive mind habits and eliminating negative habits of mind? Is there a connection between mind habits and cultivating character? 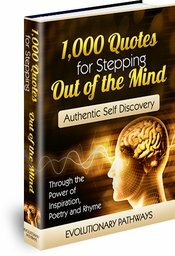 What is the connection between mind habits and the way you speak and act? What is easier to change - a mind habit or an external habit? Will change in one bring about change in the other? Is there a level of personal development and self improvement that reaches beyond mind habits? What does it mean to have a free mind? Does this imply absence of mind habits? What specific mind habits tend to create trouble for you? What mind habits bring you more effectiveness and peace of mind? Is negativity a mind habit, or is it simply something that happens to us once in a while? What is the best way to work on changing mind habits? Do you think this is easy or hard to do?